We are the market leader in low cost and innovative fuels. 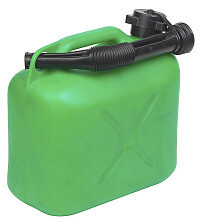 All grades of petrol including leaded, unleaded and super unleaded. More.. Probably the widest variety of diesel and derv fuels anywhere in the UK. More..
An innovative range of non-fossil fuels for your vehicle. More.. Looking for something a little different? More.. Experience secure hassle-free transactions. More.. Tired of paying pump prices? So are we! Welcome to Petrol Direct - the UK's leading supplier of all varieties of petrol, diesel and even biofuels delivered direct! We save you money by sourcing all our fuels from other countries in the EU that have a much lower tax rate than the UK. We are the first petrol retailer to sell direct to the consumer directly through the web. With no expensive forecourts to maintain, we can save money by shipping directly to your door from our low-cost distribution outlets. Put simply.. fuel in the UK is expensive! We can ship directly from countries with the lowest tax rates to the UK and save you money.. and the tax has already been paid! We just charge you a handling fee and shipping costs, and you can fill up your vehicle at your own convenience! We don't just sell cheap petrol.. we sell a variety of hard-to-obtain fuels that will give your vehicle the extra performance it needs, whatever it is!